Back in September, when there were 3.667 times more Republicans running for president on the main debate stage alone, the GOP candidates were asked which woman they'd like to see on the $10 bill. Of the candidates still with us in this race (we miss you, Rand Paul), the one who most closely predicted Wednesday's announcement that the eternally badass Harriet Tubman will replace president and slave-owner Andrew Jackson when the new $20 bill is rolled out in 2020 was, not kidding, Ted Cruz. 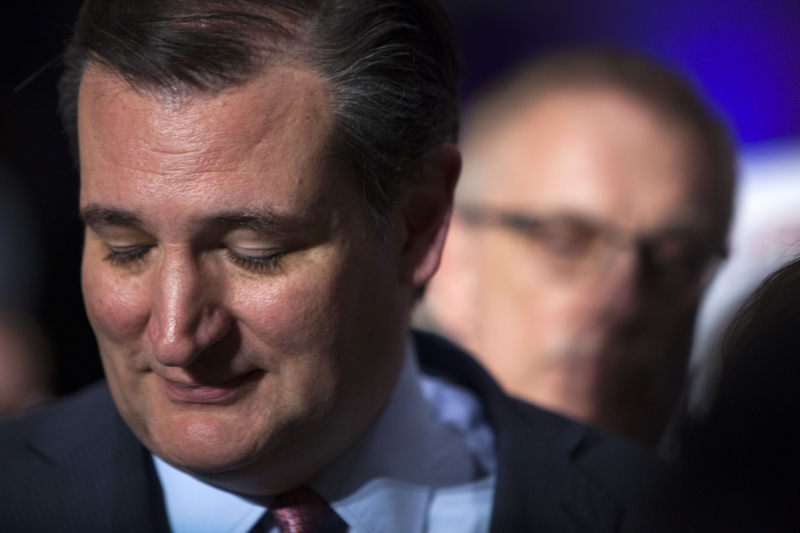 Cruz named Rosa Parks (as did Marco Rubio, and Donald Trump sort of. We'll get to that). Obviously this guess wasn't right on the money (I am sorry), but it was at least a nod to intersectional feminism, and nobody guessed Tubman, anyway at that debate of yesteryear. The kicker, though, is that Cruz also said he'd bump Andrew Jackson from the $20 bill and leave Alexander Hamilton on the $10 bill — exactly what's happening now. And while President Cruz would be god-awful for women and people of color, I must give him this round of Guess The Symbolic Currency Changes Of The Future. Of the surviving GOP field, Kasich gets second for "Mother Theresa," while Trump brings up the rear for answering with his daughter Ivanka, and then Rosa Parks, too. I do not think Mother Theresa would be an especially good choice. For one, we should pick someone — like Tubman — more central to American history (as opposed to global). Good ol' Jeb(!) chose Margaret Thatcher — to which I say, "Dude, she's not even American, and even her own country has very ambivalent feelings about her legacy!" Trump's answer was also bothersome because Mother Theresa came with her own set of problems, but that's not why Trump gets last. Trump gets last because while he was certainly not the only candidate to go with a loved one for this answer (Huckabee and Carson did it, too, naming their wife and mother, respectively), and I have nothing against a nice shout-out to the fam. It's just that answers like that really undermine the seriousness of the topic. They convey that it's permissible to give a throwaway answer as long as it's an adorable one, because this isn't a question that really matters. Anyone of a minority identity of any kind, of course, can tell you that representation matters a lot, and this was a question about which everyone should have demonstrated serious consideration. Though for what it's worth, Carly Fiorina — the one woman on the stage — did not feel that way. While I can't say I agree with Fiorina's answer, at least we had the chance to get one woman's response.